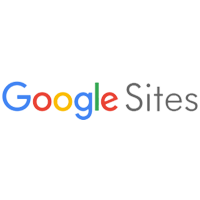 Google Sites is a website builder that allows users to create websites easily without any knowledge of coding necessary. Its features include email integration,drag-and-drop functionality, hosting, and more. In this article, we cover user reviews and pricing. Ready to try with Google Sites? Get a free trial. Users who gave Google Sites a positive review said that the platform is user-friendly and that its drag-and-drop functionality is responsive. Some users commented that it has unparalleled features and that it can be easily integrated with other Google services. Others like that it can be used by new business owners to set up a website quickly. Users who gave Google Sites a negative review mentioned that it doesn’t have enough bandwidth for the needs of businesses. They also said that it has limited formatting options and website features compared to its competitors. Google doesn’t have published pricing plans on its Google Sites services. However, according to third-party sites, it is free to build, host, and maintain for any user with an existing Google or Gmail account. Additionally, businesses using the service together with Google Apps must pay $5 to $10 per month per user. Ready to try out Google Sites? Get a free trial. 6 Best Website Builders 2019: Reviews & Pricing Guide — A website builder makes it easy to design and host a website to sell products, connect with your customers, and analyze web traffic — no coding knowledge required. In this guide, we compare the best website builder options for small businesses in terms of ease of use, pricing, and purpose to help you decide which one fits your business’ needs. What are the hardware and software requirements of Google Sites? Google Sites is a web-based platform and does not require any download. It is compatible and will work with most modern web browsers (Internet Explorer, Chrome, Mozilla, etc.). In what types of business is Google Sites best for? Google Sites can be used in any type of business. However, it is most commonly used for intranet sites (sites for internal company use). Not sure if Google Sites is the right fit for you? Read our reviews of all top website builders.